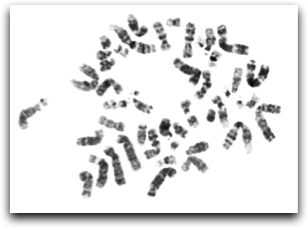 Cytogenetic Analysis (including Karyotyping) :: Applied Genetics Laboratories, Inc.
AGL has broad expertise in banded chromosome analysis for a wide variety of mammalian species (human, mouse, rat, cow, hamster, dog, etc. ), and our experience includes analysis of live animals and established cell lines. The standard cytogenetic analysis can be customized to your needs if you have specific requirements different from or not listed here. G-banded chromosomes of a human cell in metaphase. 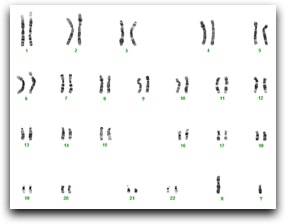 Human karyotype of G-banded metaphase chromosomes. This service complies with the Food and Drug Administration's Good Laboratory Practice regulations (Part 58 Title 21 CFR).